Vineyarders win big in home opener. 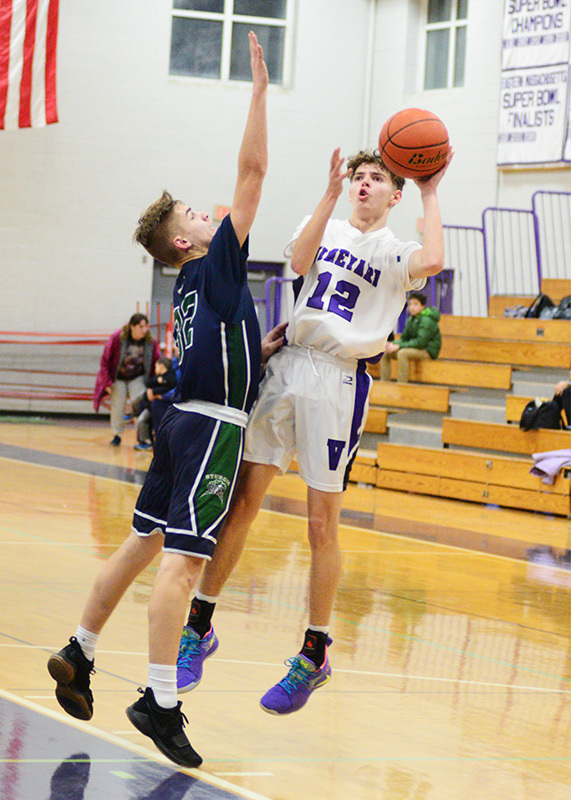 The Vineyarders rebounded from an opening-day defeat at Monomoy with a resounding 70-37 Cape and Islands League win over the Sturgis East Storm in the first boys basketball home game of the season, Thursday afternoon at the Sancy Pachico Gym in Oak Bluffs. 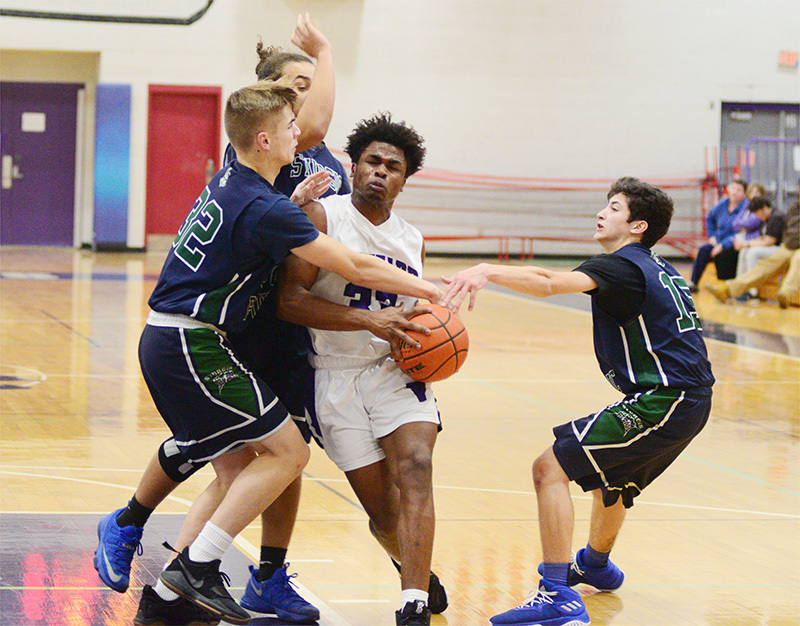 In contrast with the season opener, in which the Vineyarders dug themselves a 25-6 first-quarter hole, the intensity and effort was there from the opening tip on the home floor. 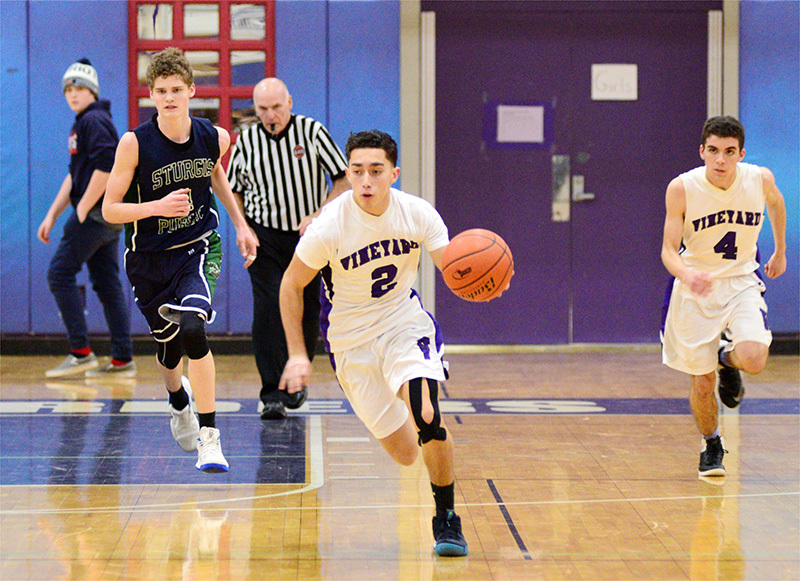 MV scored the first 13 points of the game and never looked back. 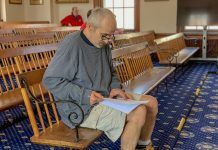 The Vineyarders fought for every loose ball and every rebound, as bodies crashed, bumped, and spilled to the floor throughout the physical contest. A dozen Vineyarders scored points in the game. Aiden Rogers stood alone in double figures with 13. 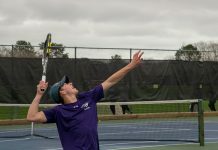 Jared Regan had nine points and Solon Oliver scored eight, while Dylan Dyke, Kaio Reis, and Rammon Dos Santos added seven apiece. Rogers and Dos Santos were the top rebounders. 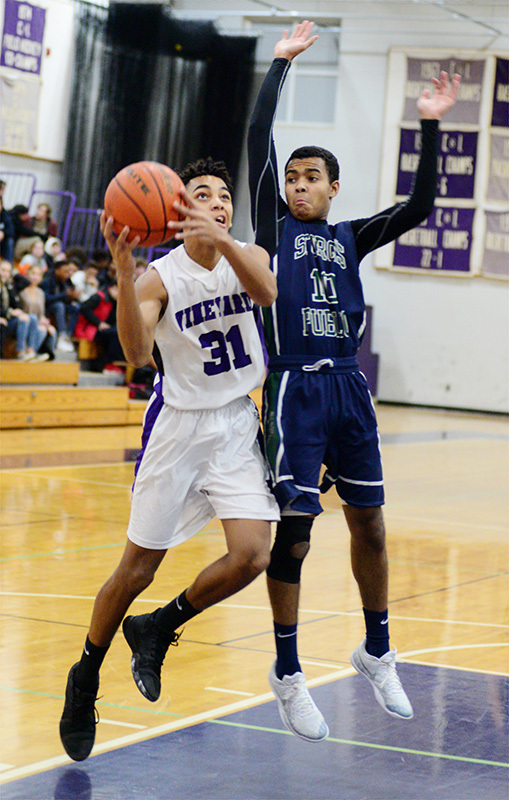 Earlier in the afternoon, the Vineyard JV boys improved to 2-0 by beating the Storm 61-29. 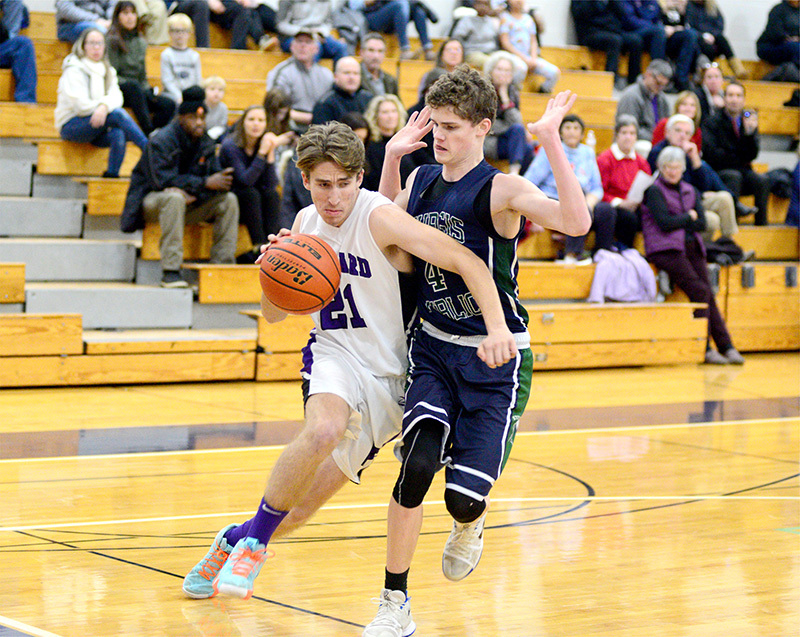 Adam Knight chalked up four treys and 14 points overall, Leo Neville scored 11, and Nico Arroyo had nine.